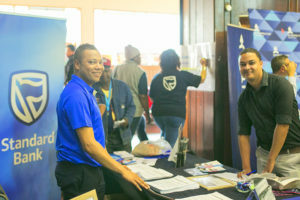 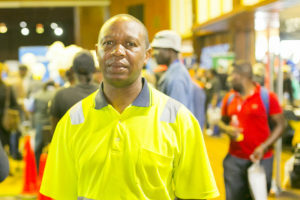 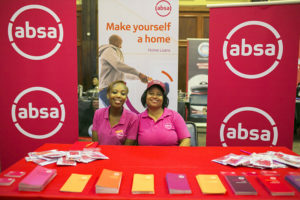 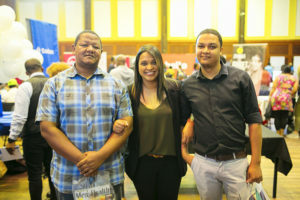 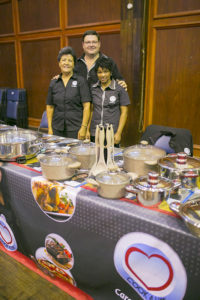 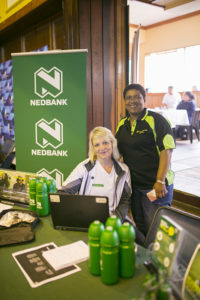 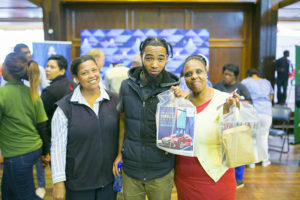 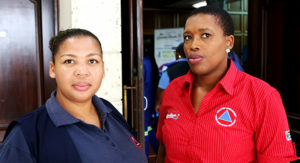 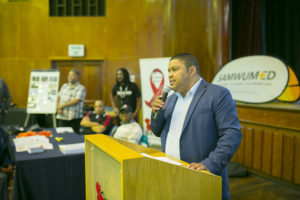 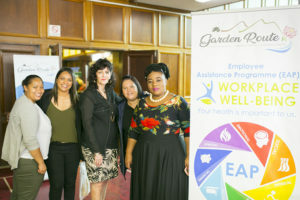 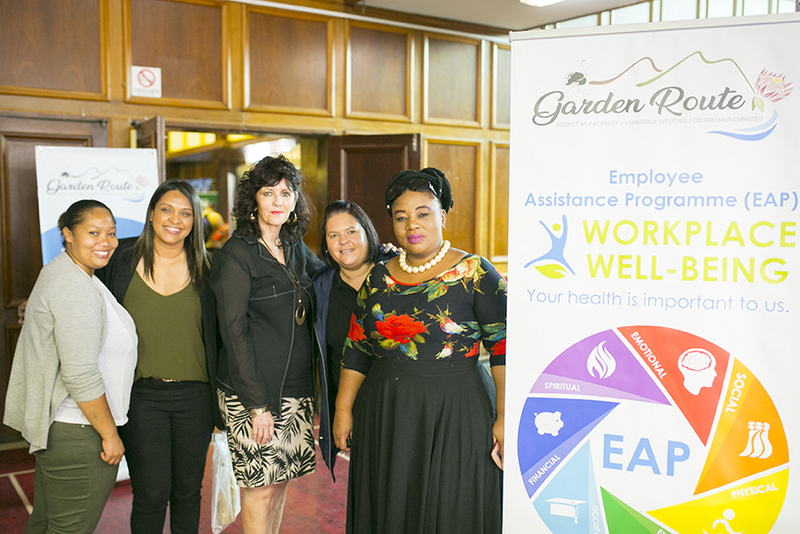 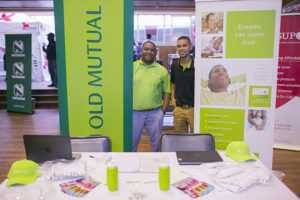 Garden Route District Municipality’s (GRDM) Employee Assistant Practitioner, Ms Shandré Abrahams, in collaboration with George Municipality’s Employee Assistance Programme (EAP) section hosted a joint Wellness event earlier today at the George Civic Centre. 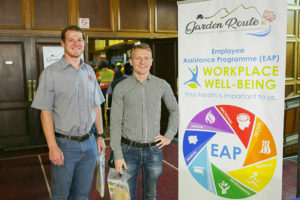 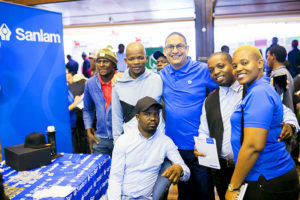 GRDM’s EAP section partners with George and Oudtshoorn municipalities on an annual basis to provide such a platform where employees in from their northern and southern offices can engage with professionals in the field of finances, health, social well-being and emotional advice. 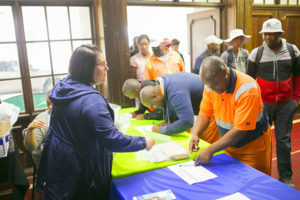 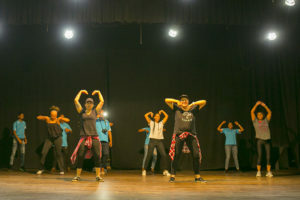 Joint sessions like these also provide a substantial cost-saving for all those involved. 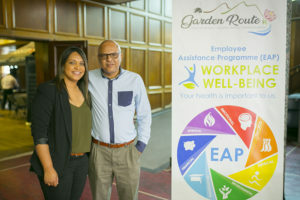 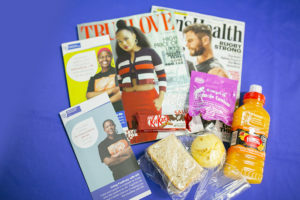 Editor’s note: The Employee Assistance Programme (EAP) is designed to assist the identification and resolution of problems associated with employees impaired by personal concerns, but not limited to health, family, financial, alcohol, drug, legal, emotional, stress or other personal concerns and addictions which may adversely affect employee’s performance.